From 18 to 21 November 2016 the NATO Parliamentary Assembly (NATO PA) gathered for its 62nd annual session in Istanbul, Turkey. The outgoing NATO PA President Hon. 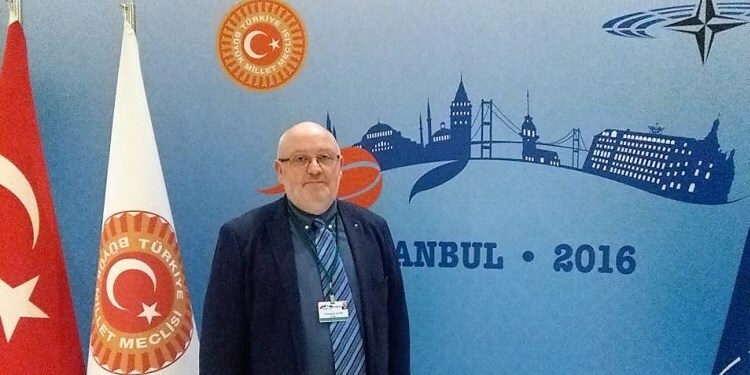 Michael R.Turner, expressed his support for Turkey in its battle against terrorism and struggles to host some three million Syrian refugees while recovering from a failed coup attempt at the same time. “We are holding this session here in Istanbul as another way to demonstrate our solidarity with Turkey and the Turkish people and to recognize the trauma that the coup represented”, he stressed, while also noting that “we are here in support of Turkish democracy (…) Solidarity and democracy go hand in hand. They are NATO‘s shared values”. “From the outset, I would like to express our appreciation on NATO’s timely and unequivocal support to Turkey right after this outrageous coup attempt and on various occasions” Mr. Osman Askin Bak, Head of the Turkish delegation, emphasized. “As Secretary General Stoltenberg said, this coup attempt did not only target Turkey’s democratic institutions, but also the very core values on which our NATO alliance is based” he added. The tone however changed during the following discussions in the committees. Several members raised concerns about the subsequent series of dismissals and arrests which have affected teachers, opposition politicians, civil servants, judges, journalists as well as the military. “You are talking about the rule of law,” Dutch MP Angelien Eijsink said in response to the declarations of Basat Öztürk, Deputy Undersecretary of the Turkish Ministry of National Defence. “But at the same time people get arrested without clear evidence. We don’t understand; we are worried about the developments that the rule of law is taking in Turkey” she continued. In his response the Undersecretary insisted the Turkish authorities were working within their legal obligations in responding to the coup. On Saturday and Sunday four committee meetings were organised: the committee on the civil dimension of security, the defence and security committee, the economics and security committee and the political committee. As usual, EUROMIL’s President Emmanuel Jacob was invited to join the NATO PA as an observer and participated in the meeting of the defence and security committee, which was chaired by Senator Nicole Ameline from France for the last time. The Committee elected the Dutch MP Raymond Knops (CDA) as its new chairman. High on the agenda of the security and defence committee were the post-coup presentations and debates on Turkey, but also the situation in Afghanistan and a draft resolution on “NATO’s Post-Warsaw Defence and Deterrence Posture”. Especially the latter has been discussed and amended in depth. Highlight during the plenary on Monday was a speech of the President of the Republic of Turkey, H.E. Mr. Recep Tayyip Erdoğan. The Turkish President called on the international community to stop terrorist organisations using their countries for propaganda and illegal activities. Erdoğan said that Turkey, as a victim of terrorism, could not tolerate that groups like the PKK could be “comfortable” in European countries. He furthermore claimed that some terrorist groups were supplied with weapons from abroad. NATO’s Secretary General Jens Stoltenberg addressed the NATO PA as well. He emphasized the necessity of increasing the defence spending, but also addressed the collaboration with the European Union. “I need your support on defence spending (…) A stronger European defence will strengthen Europe, EU and NATO” he argued. Last but not least he called on MPs to approve the accession of Montenegro to NATO in their national parliaments. Christine Muttonen, President of the OSCE Parliamentary Assembly, especially highlighted the fruitful collaboration between the OSCE and NATO, but also between the OSCE and the EU. Last but not least several rapporteurs presented draft resolutions of the different committees. These documents can be downloaded from the website of the NATO PA.